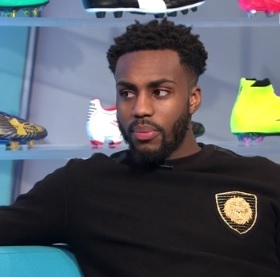 Danny Rose was pictured taking part in Tottenham’s first team training this week following his lengthy injury lay-off. The fact that the left-back hasn’t featured since January’s 0-0 draw with Sunderland must have been incredibly frustrating, and that boiled over with his decision to speak to the Sun about the club’s problems three days before the start of the season. At the time, Mauricio Pochettino insisted in a press conference that the interview hadn’t severed the defender’s ties with Spurs, but his future has been uncertain ever since. Players who fall foul of the Argentine very rarely make their way back into his set-up, case in point, Andros Townsend and Nabil Bentaleb. With Chelsea and Manchester United having been linked, the Star now report that the England international has set his heart on moving to Old Trafford. Jose Mourinho has failed to settle on a first-choice left-back, alternating between Luke Shaw, Matteo Darmian, Daley Blind, and Marcos Rojo. Ironically, Rose could now find himself with a challenge getting into the Tottenham team, such has been Ben Davies’ progress in his absence. Full-back partner Kyle Walker departed in the summer and it seems he could soon be followed by Rose. It’s thought that the appeal of working with Mourinho is what has confirmed his stance, while he’s also set to double his wages at the Theatre of Dreams.